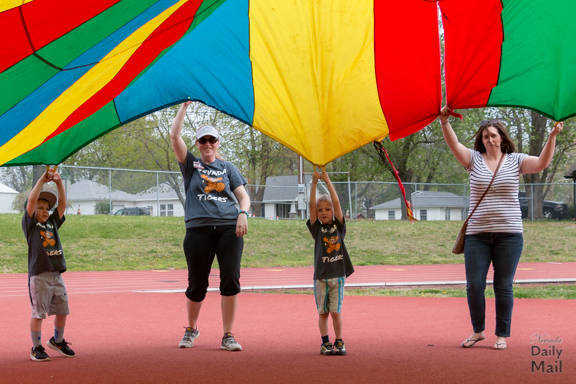 Taytum Smith, teacher Crystal Burch, Jamison Boykin and Michelle Sandon at the parachute station at Bryan Elementary's first grade field day. 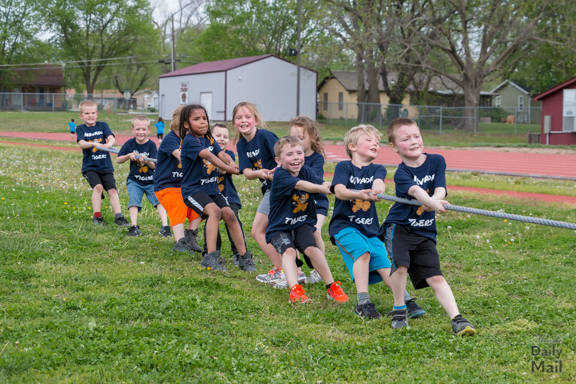 Students from Mrs. Cussimanio's first-grade class at Bryan Elementary play tug-of-war during their Field Day at Testman Track. 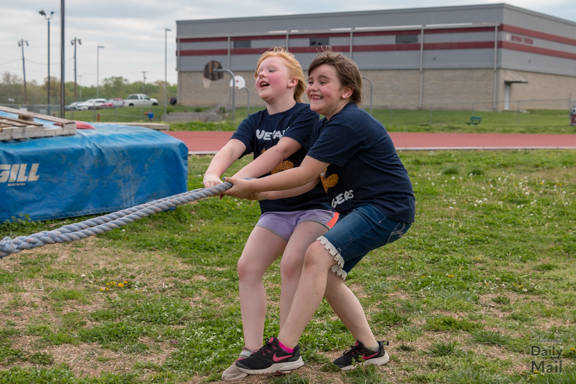 Averie Jones and Kameryn Hendren from Mrs. Cussimanio's class anchor their team during tug-o-war at Bryan Elementary's field day at Testman Track on Tuesday. 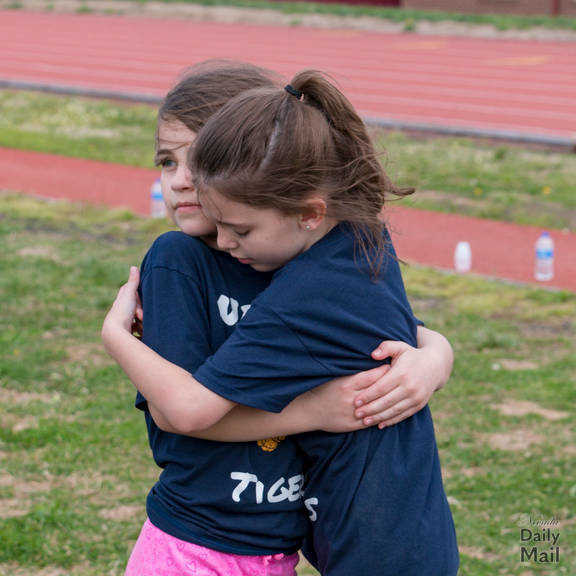 Maggie Kimmel comforts Gracelyn Chadd who appears to have suffered some rope burn during tug-o-war at Bryan Elementary's field day at Testman Track on Tuesday. 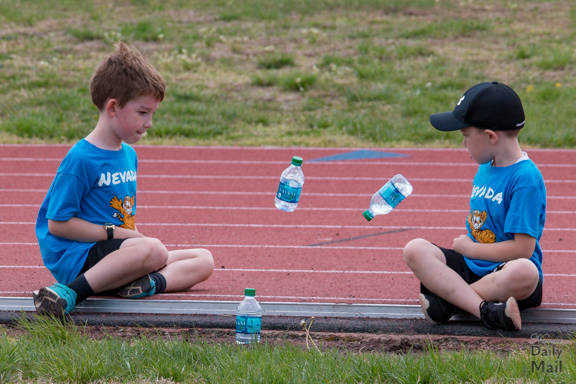 Case Allard and Jared McNutt from Mrs. Miller's class flip water bottles during a break at Bryan Elementary's field day at Testman Track on Tuesday. 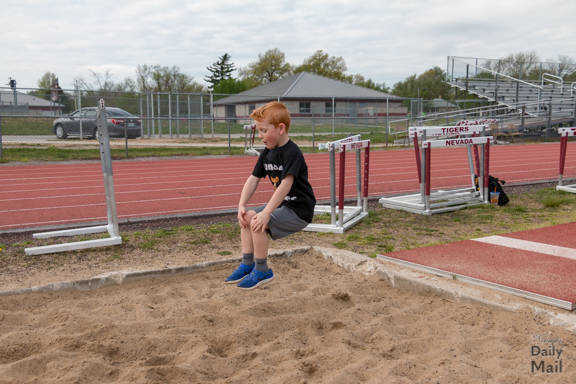 Heston Hawks screamed "Cannonball" before launching himself into the long jump sand pit at Bryan Elementary's field day at Testman Track on Tuesday. 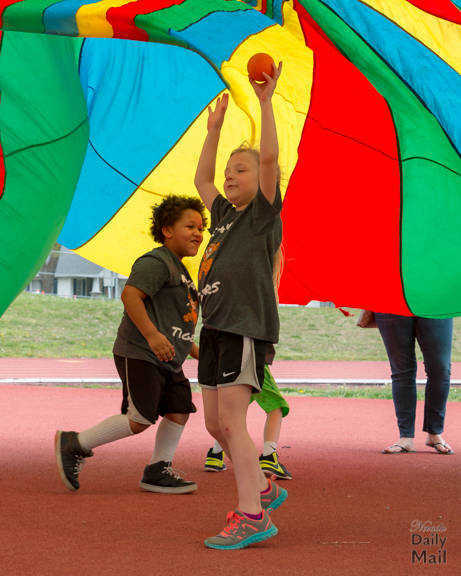 Makaylee Leininger's post long jump splits at Bryan Elementary's field day at Testman Track on Tuesday. 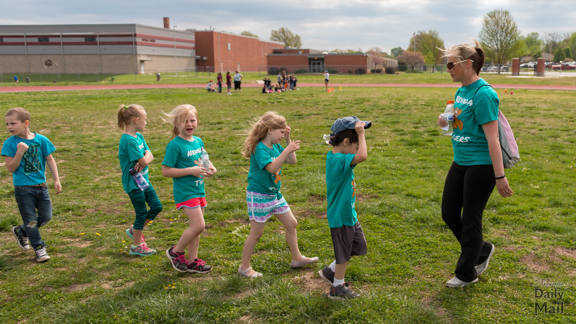 Mrs. Bruce lines her class up to move to the next station at Bryan Elementary's field day at Testman Track on Tuesday. 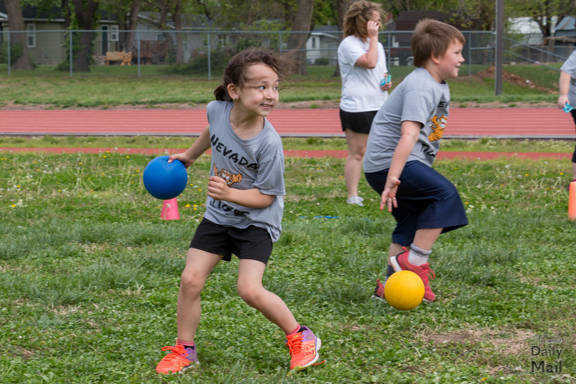 Kenlie Herrell takes aim during a dodge ball game at Bryan Elementary's field day at Testman Track on Tuesday. 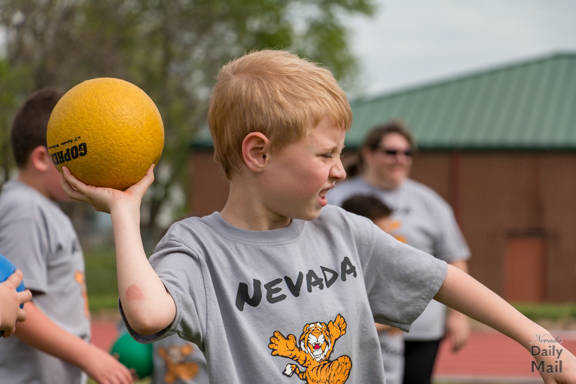 Isiah Vandenburg takes aim during a dodgeball game at Bryan Elementary's field day at Testman Track on Tuesday. 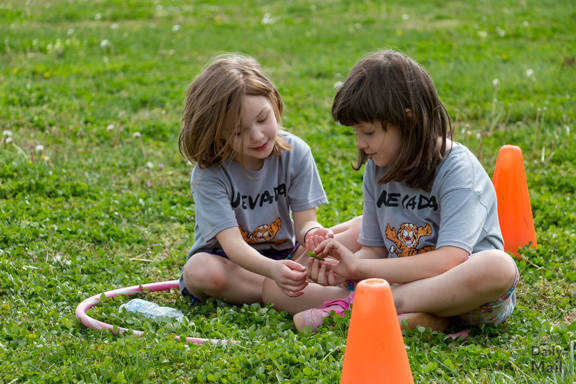 Who said be knocked out of the dodgeball game wasn't fun? 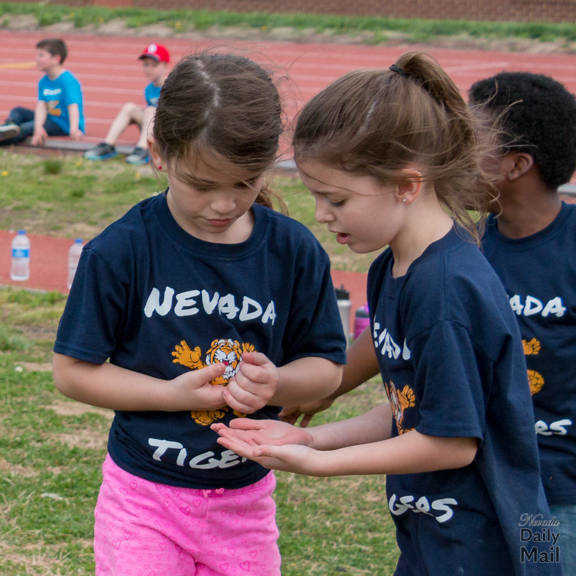 Lyrik Noel and Hope Miller from Mrs. Ream's class exploring the local flora after getting knocked out of a dodgeball game at Bryan Elementary's field day at Testman Track on Tuesday. 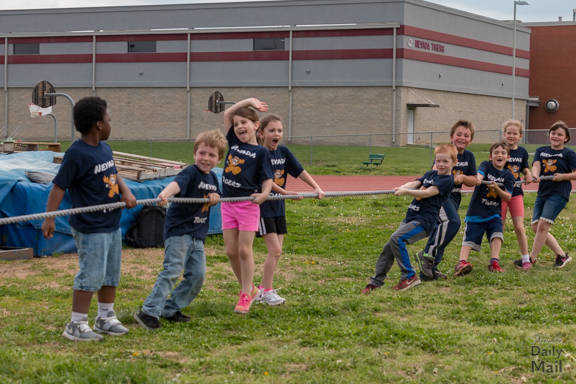 Mrs. Ast's class poses for a picture at Bryan Elementary's field day at Testman Track on Tuesday. 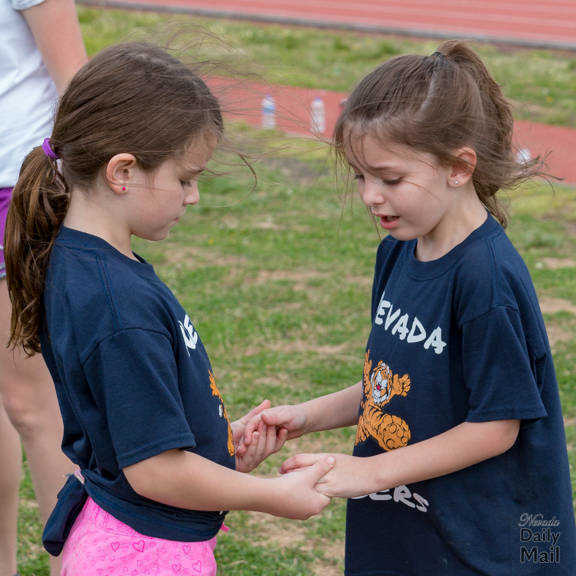 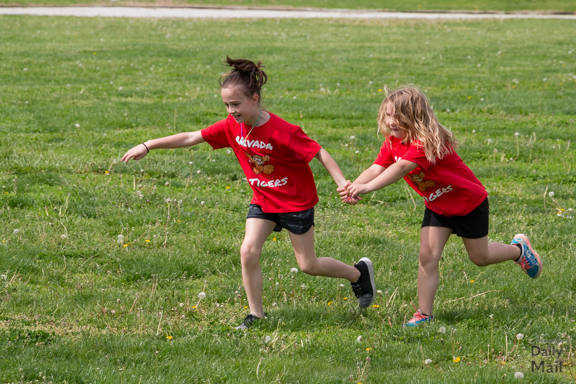 Natalie Hope and Lanie Moore from Mrs. McCaffree's class burning off some energy at Bryan Elementary's field day at Testman Track on Tuesday.